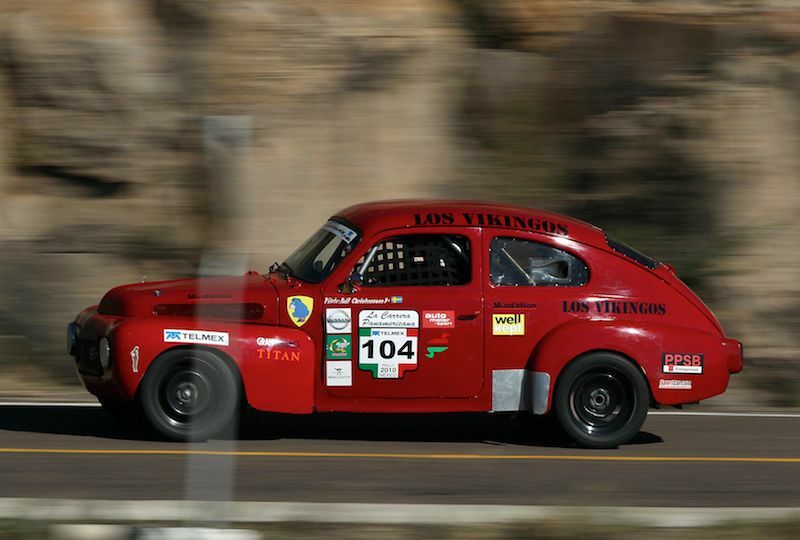 One of the nicest gentleman racers I know with respect to La Carrera Panamericana is Ralf Christensson from Sweden. Having raced against him in the fast Historic C class I can also reassure you that he is not only a great guy to be around but in fact he's one hell of a competitor with great driving skills. I am most fortunate to have become friends with Ralf and we have stayed in touch since 2007 and I always enjoy hearing from him. Earlier this year when he told me he was not racing his awesome Monte Carlo Falcon but instead driving Mats Hammarlund's #104 Volvo I was really excited and knew he would do well. Unfortunately the red Volvo was not half the car his Monte Carlo Falcon was. It started out with a frozen wheel bearing and then lost a motor leaving Ralf without so much as a chance to turn in the kind of performance he is capable of. I have to tell you it just broke my heart. That said... I noticed Ralf in several videos that were taken after the car was again back on the road and from what I could see, it was the same Ralf I have come to know and respect. He was not walking around holding his head down and acting like a child. But instead he was right in amongst his friends and teammates with a big Swedish smile on his face and eager to get in the car and give'em hell. You just can't buy that kind of personality. It only comes from the heart of a very good gentleman.